The tryouts for season 20 of The Ultimate Fighter went down in Las Vegas, N.V. yesterday, and Bleacher Report ace scribe Jeremy Botter was on hand to witness what has over the course of almost ten years become an event in and of itself. Read his report here, and tell me if you don't get the impression that the tryout process is a well-oiled machine. It is, isn't it? But the tryouts didn't start out that way. For the first season of TUF, the UFC simply called up a bunch of promising fighters and said, "Hey, want to do a reality show?" Only when that initial season proved to be a runaway success did the word "tryouts" enter into the equation. 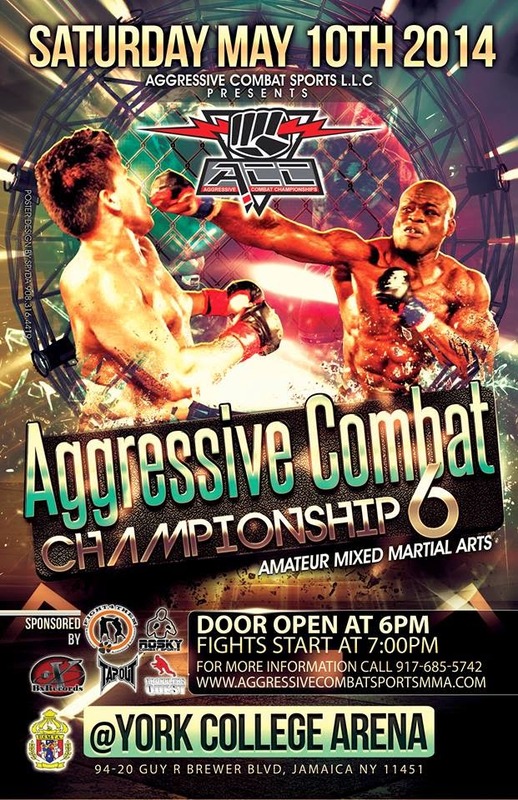 The next big MMA show in New York City will be Aggressive Combat Championship 6, which is slated for May 10 at York College in Queens. A preliminary version of the card can be found here, and after the jump you can check out an ACC highlight video. If you're reluctant to take the "E" train to the last stop and stroll through Jamaica, Queens, to get to the venue, then fear not, because I'll be on scene providing my usual coverage.